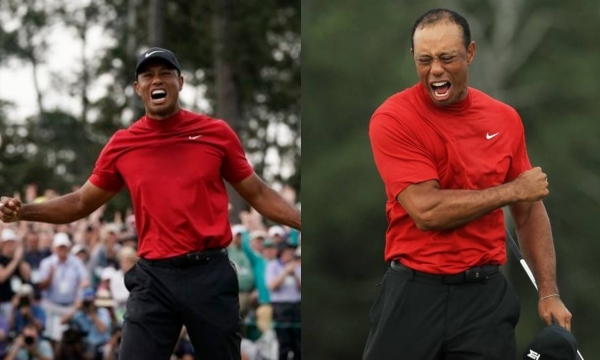 Tiger Woods has jumped to sixth in rankings, after he won his fifth Masters since 2005 on Sunday in Augusta, Ga. The golf legend who dipped as low as 1,199th in the rankings while undergoing four back surgeries and believing he might never play again, entered the tournament at No. 12 in the world, equaling his highest ranking since the 2014 season.He had climbed all the way to 26th within eight months of his lowest point before reaching 13th by the end of the 2018 season, following a victory at the Tour Championship. However Tiger Woods who jumped to sixth in rankings after yesterday's game, started Sunday two strokes back of Italy’s Francesco Molinari, a margin that remained through 11 holes, before overcoming the gap in the closing stretch to claim his fifth green jacket. The last time Woods held the world’s top ranking was 10 weeks into the 2014 season. He holds the all-time records for most consecutive weeks (281) and most career weeks (683) atop the rankings. The last time Woods held the world’s top ranking was 10 weeks into the 2014 season. He holds the all-time records for most consecutive weeks (281) and most career weeks (683) atop the rankings.